The government has a goal of 15,000 hectares of new forest planted by 2020 under the revised Afforestation Grant Scheme (AGS), administered by the Ministry for Primary Industries. Through the AGS $22.5 million of funds are available to encourage landowners to plant an expected 15,000 hectares of new forests. The objectives of the AGS are to improve land-use productivity, enhance regional economic development and achieve environmental benefits. The latter include reducing soil erosion, storing carbon, and improving water quality. 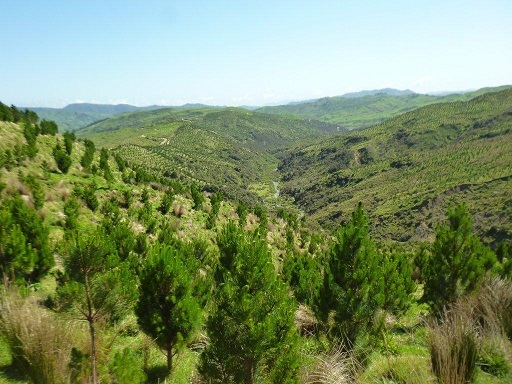 Successful applicants will receive $1,300 per hectare for new forest planting, with priority given to applications addressing environmental issues such as reducing erosion and improving water quality. The Crown will get the carbon credits for the first ten years. The landowner will own the trees and the timber. have been 'forest land' in the 5 years before you apply. The refreshed Afforestation Grant Scheme will be open for applications from 27 April and close 8 June 2016. Clients who require assistance to apply for AGS funding should contact their local PF Olsen forest manager.